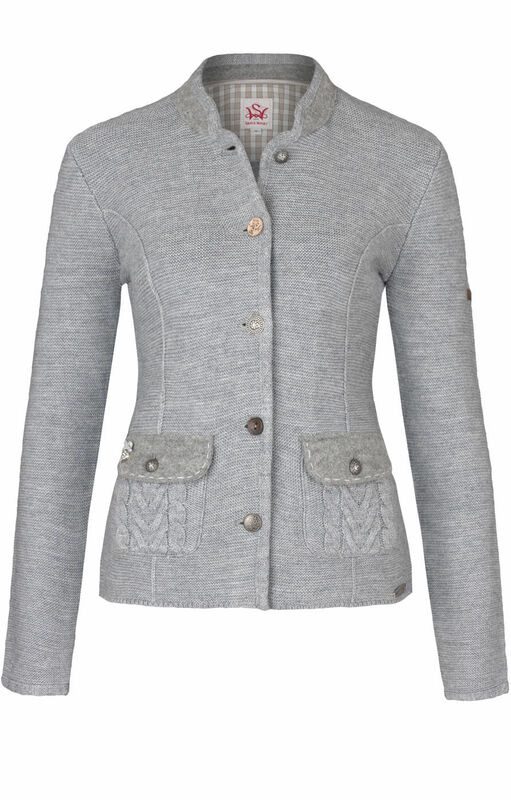 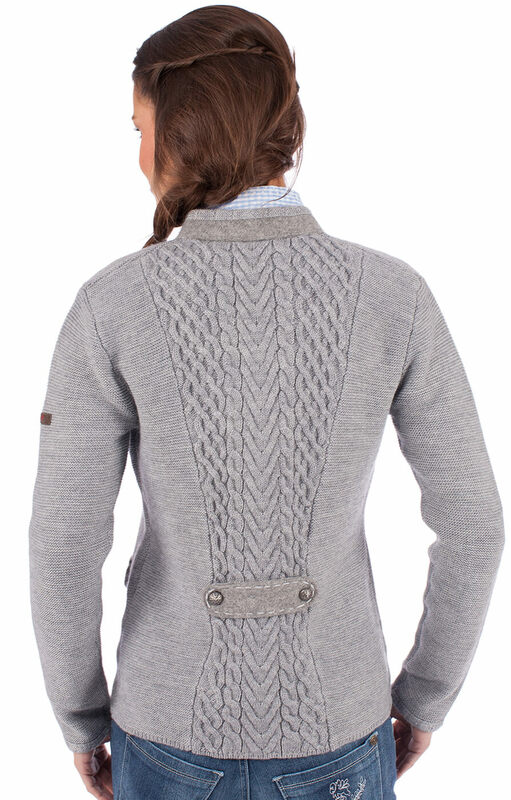 Ettal women's Trachten cardigan in grey. 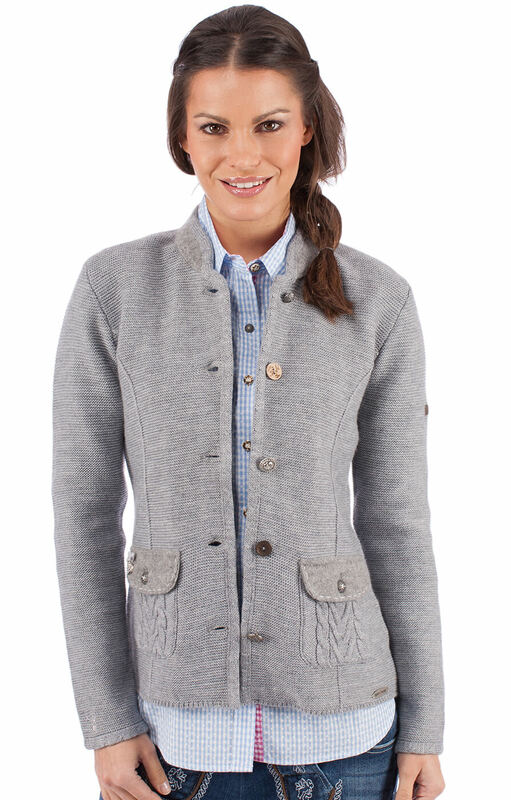 In a soft grey merino/polyester blend, this fitted cardigan adds a layer of cosy warmth to your Trachten outfits. 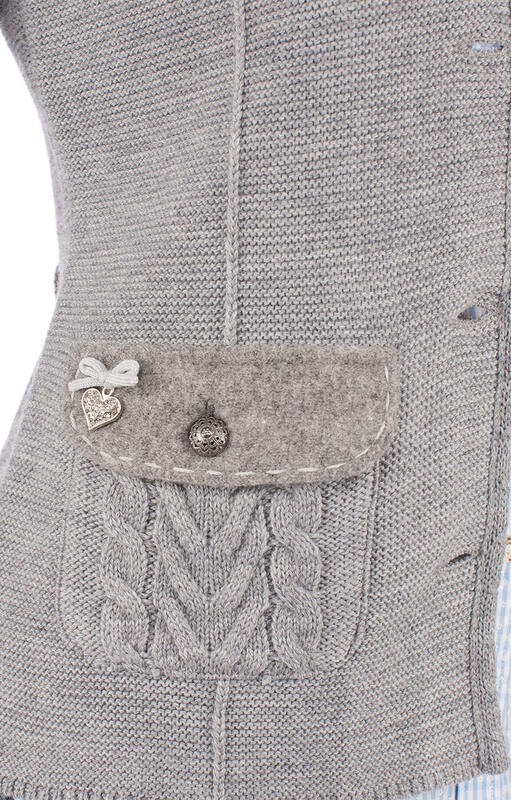 With traditional horn buttons, front patch pockets and a back panel in a gorgeous cable pattern, this cardigan is perfect for Oktoberfest or everyday Alpine style.